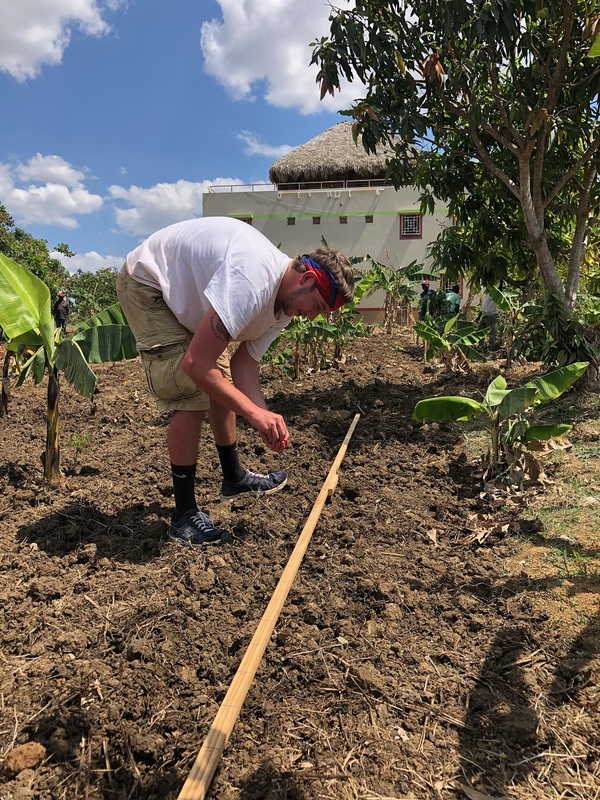 As previously stated by Jack, one of the main projects we got to work on while in Haiti was planting some genetically modified corn. The reason that Haiti so desperately needs GMO corn is due to the intensely dry and hot climate. Another factor that contributes to the struggle of growing corn in Haiti is the scarcity of water and the struggle to get water everyday not just to water your crops but to drink as well. 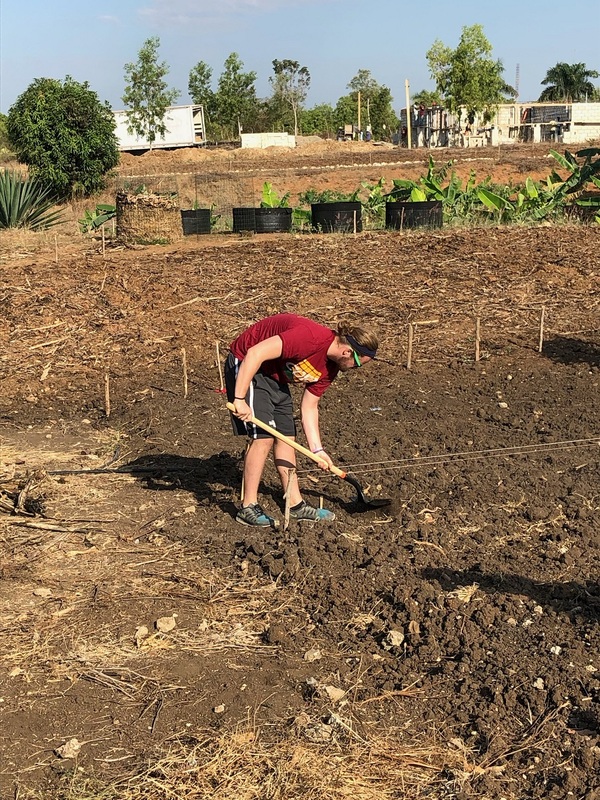 Ever since our first day in Haiti we have been doing little jobs to get the ground ready for our big planting day. Six days prior, Haitians have been working 8 hour days with pickaxes just breaking up the land and softening the soil. 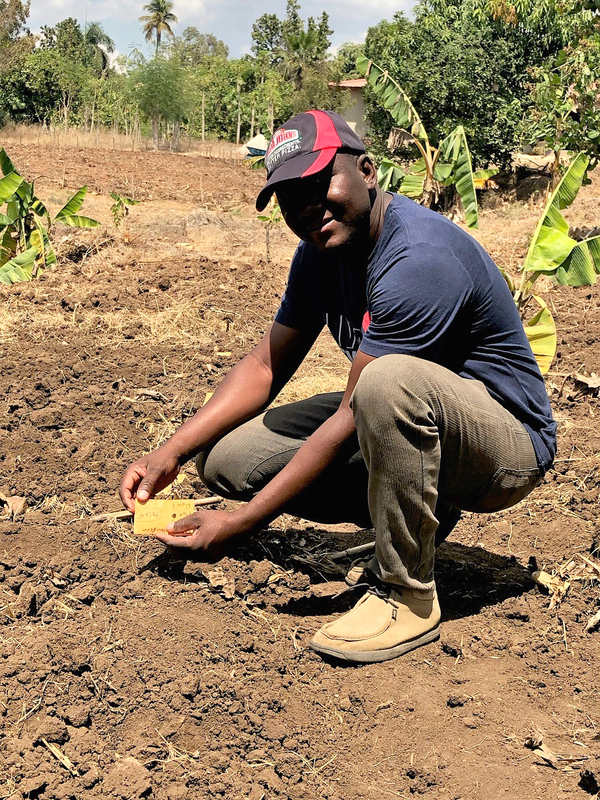 This is an especially hard task because Haiti has not had rain since December, making the ground very dry and hard to cultivate. We started off the day with “A Hole in Our Gospel” video series and right after we got to work. With six different types of GMO corn in six different fields there is a lot of planning that goes into just setting up the fields, we ran string across plots and since we don’t have access to any machinery (other than our hands and pickaxes) we had to create the furrows by dragging an axe through the fields. And then we had to go behind and place 40 seeds per 15 feet of the field. Our hope is that after planting 40, that 28 of them take root and grow. If there are over 28 plants that spring up we will only keep the 28 strongest of the bunch. In Haiti you have to make due with what you have and you soon realize that everything has a purpose. 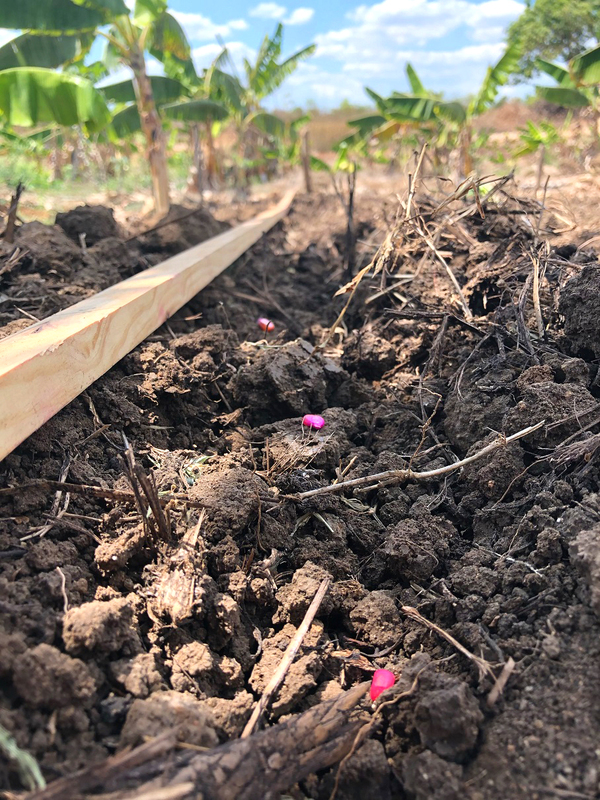 To measure out a seed every 4 ½ inches we used a couple pieces of wood, 15 feet in length, and drilled together with 40 marks on it all equally apart. Another measuring tool we used was just a PVC pipe with the same markings 15 foot long. Growing up in Iowa I am well aware of the idea of farming and the look of a field. 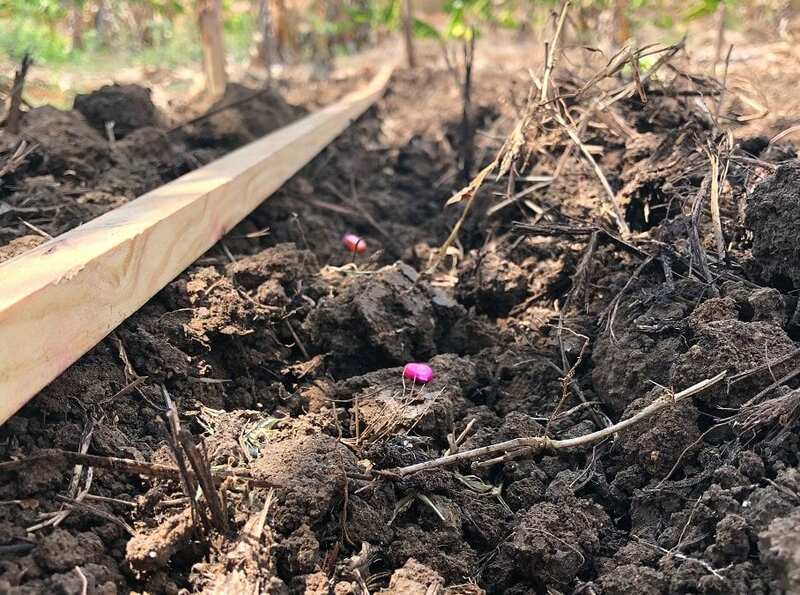 This was a completely new idea to the Haitians, they are not used to putting weeks of organization and planning into planting crops. Therefore once we got started they were very curious and anxious to learn. It was truly amazing seeing them get so interested and supportive of ideas that we introduce to them. With the help of the Haitian staff we had ten people working on this project. 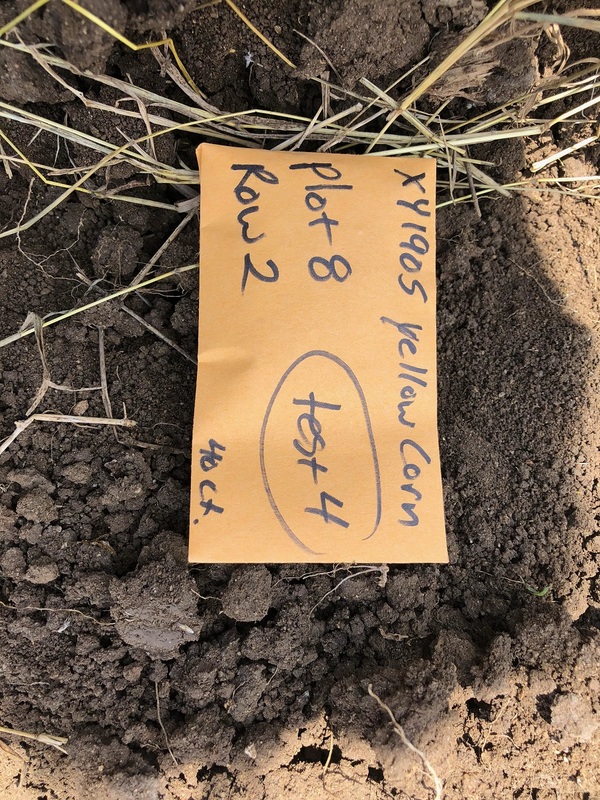 We started at 8am and we finished the last seed at 4pm with the exception of an hour lunch break we worked continuously for 7 hours and planted over 15,600 seeds. 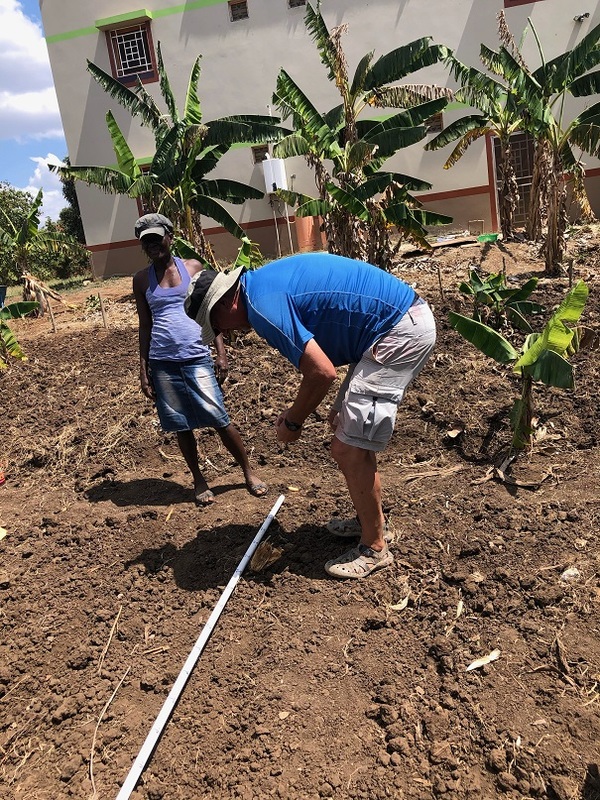 God willing these will grow into strong plants that the Haitians can use time and time again, giving them another safe and reliable source of food and income. After being exhausted from the days work we relaxed in the evening giving me time to get my first ever pedicure and manicure. Thus ending the night with fun card games and lots of laughs.